Honey Pretzel and Caramel Apple Crisp | Thyme with Catherine Tis the season to gather the family and venture off to your local apple orchards and farmers markets. Fresh and crisp apples picked straight from the trees by the basket full. Gathering the family and venturing off to the local apple orchards and farmers markets just might be a perfect way to spend a beautiful autumn day. 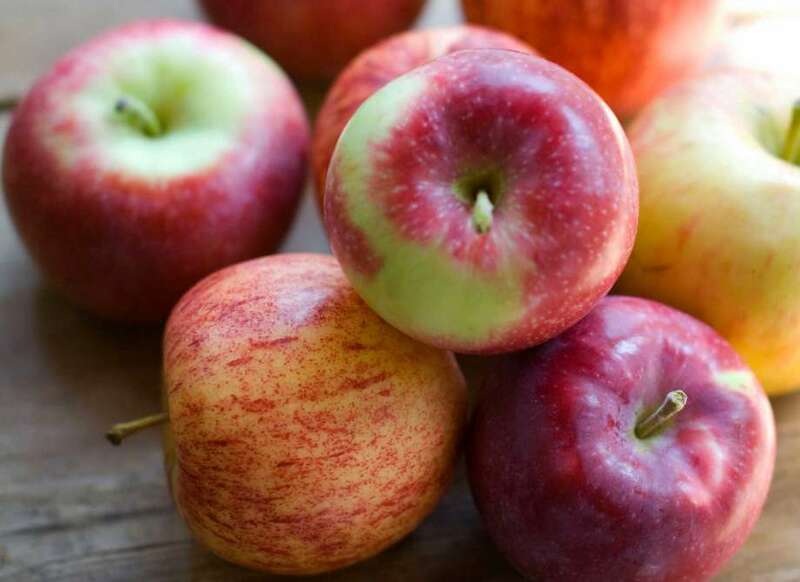 Here’s a delicious way to transform those apples you gathered into a heavenly classic. 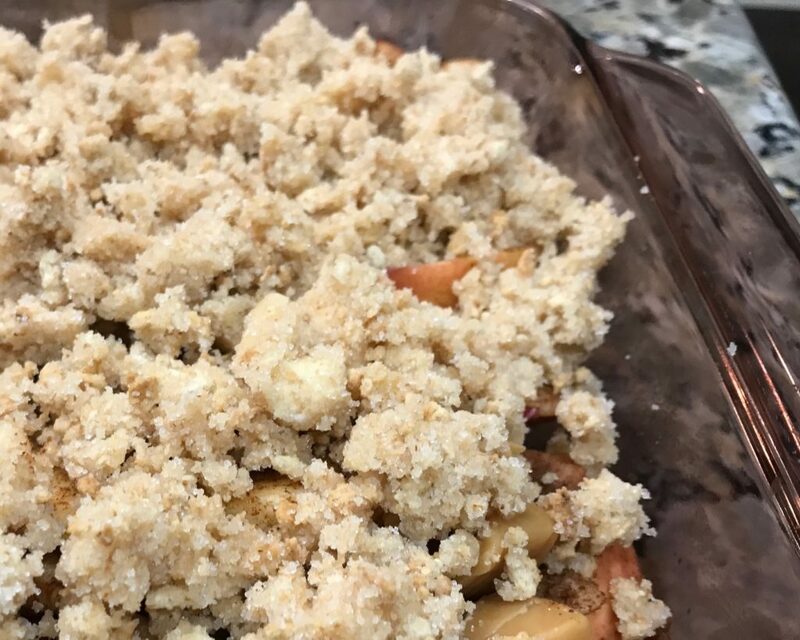 What separates this apple crisp from what’s already out there are the honey pretzels we used in place of white flour. The result is a salty and more crunchy topping of sweetness to your favorite autumn dessert. Follow along and let me know your thoughts. 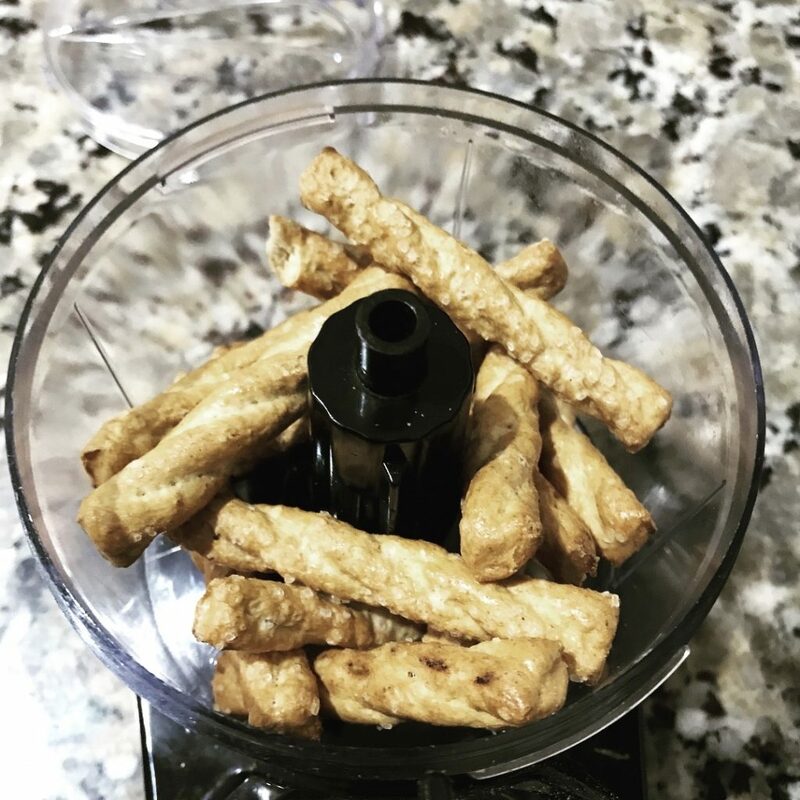 I started with about 15 Rold Gold honey wheat pretzel twists, https://www.fritolay.com/snacks/product-page/rold-gold/rold-gold-honey-wheat-braided-pretzel-twists placed them in the food processor and pulse for about one minute until they turned into the consistency of flour. 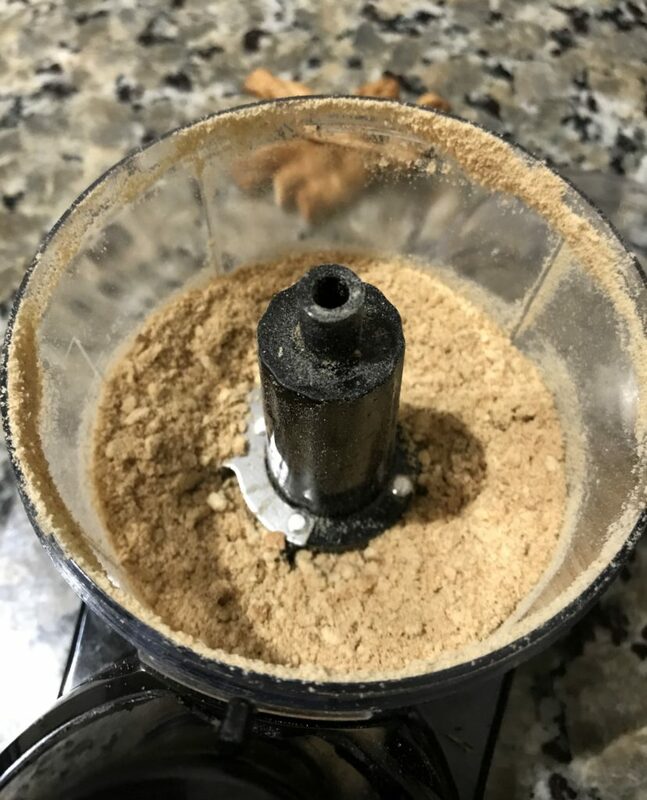 The 15 pretzels produce 1/2 cup of pretzel flour. You can use more or less of the pretzels depending on how many people you’ll be serving. Next, we’ll be working with the caramels. 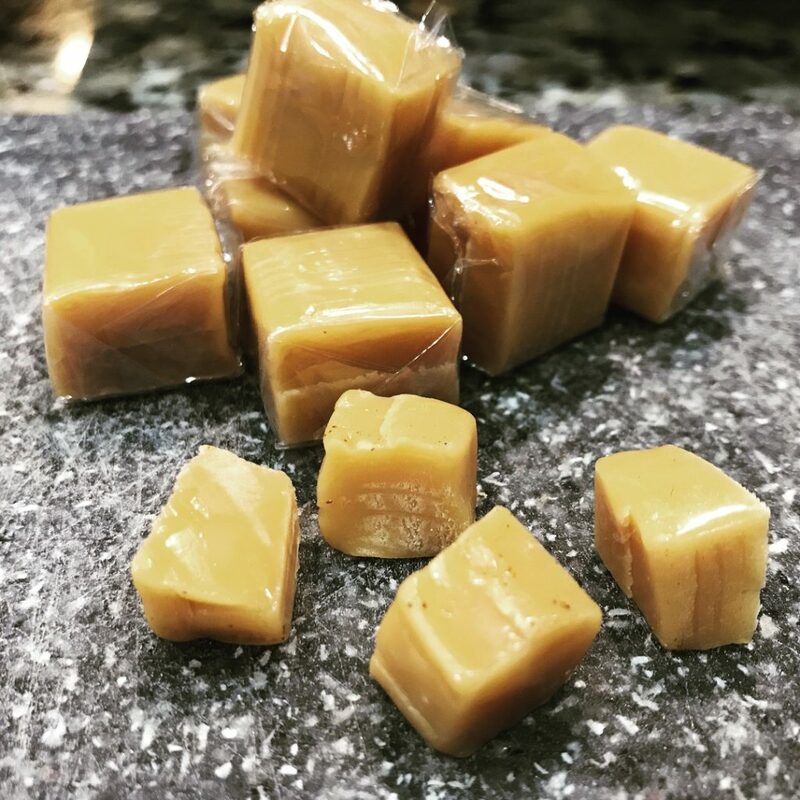 I know we’ve all seen those highly addictive http://www.kraftrecipes.com caramels that are everywhere during the autumn months. Grab a bag, and may I suggest you keep an extra bag in your cupboards all season for creative baking ideas. I used about 15 caramel pieces for this recipe. Using a large sharp knife, just chop the cubed caramel into large chunks. Nothing too complicated, remember the caramel will melt into the pretzel mixture don’t fuss too much about the chopping. I used about 5 medium Macintosh apples; however, any type of apple will work just fine. After they were washed, I removed the core and sliced them thin. When baking apples, I always leave the skin on, no particular reason I just do. Feel free to remove the skin if you’d like. I measured 3.5 cups of sliced apples out if the 5. Place the sliced apples in a large mixing bowl. Add the lemon juice and cinnamon to the bowl and toss everything together until the apples are nicely coated. 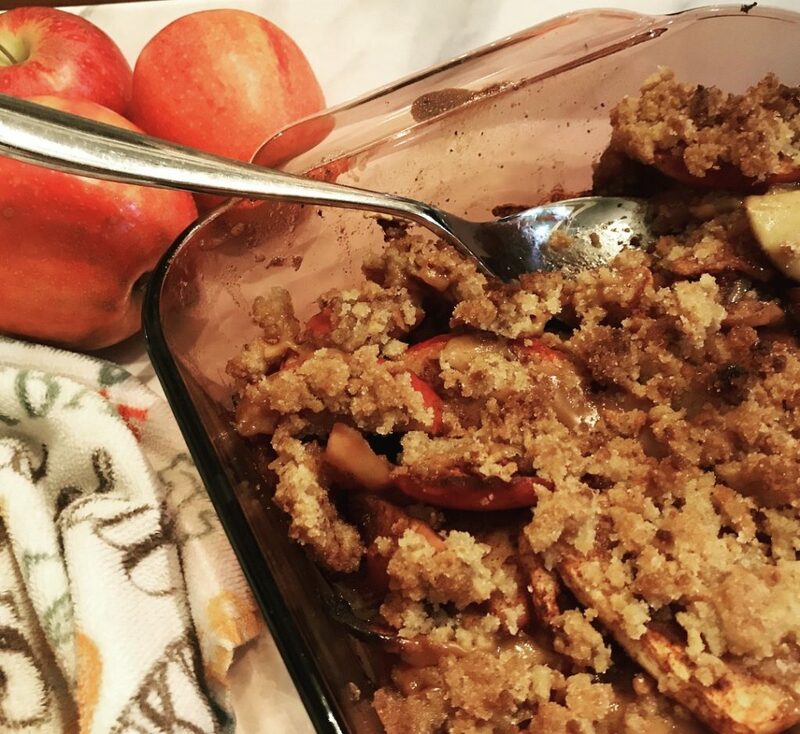 Spread the apple mixture into the greased 9 x 13 glass Pyrex or baking pan. Evenly spread the chopped caramel pieces over the apples. In a small bowl, combine the pretzel flour, sugar and cut cold butter together. I like the butter cold because its easier to work into the sugary crumbs. 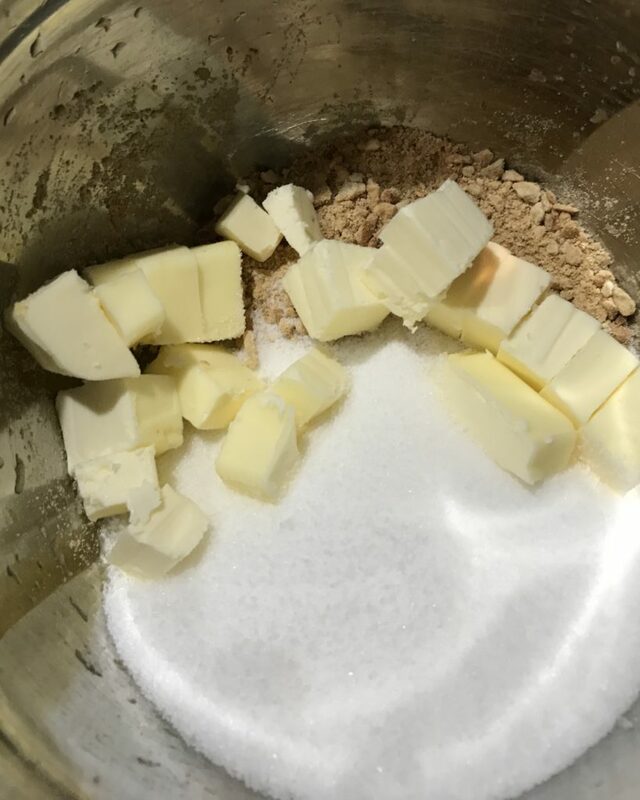 Using your clean hands, work the butter into the flour mixture with your fingers doing most of the crumbling. When the mixture forms large crumbles, it’s ready to be sprinkled over the fresh fruit. Spread pretzel crumbles evenly over the apple mixture. Bake at 375° for 35 to 40 minutes. Salty pretzels, gooey caramel, and apples make this a crisp to remember. 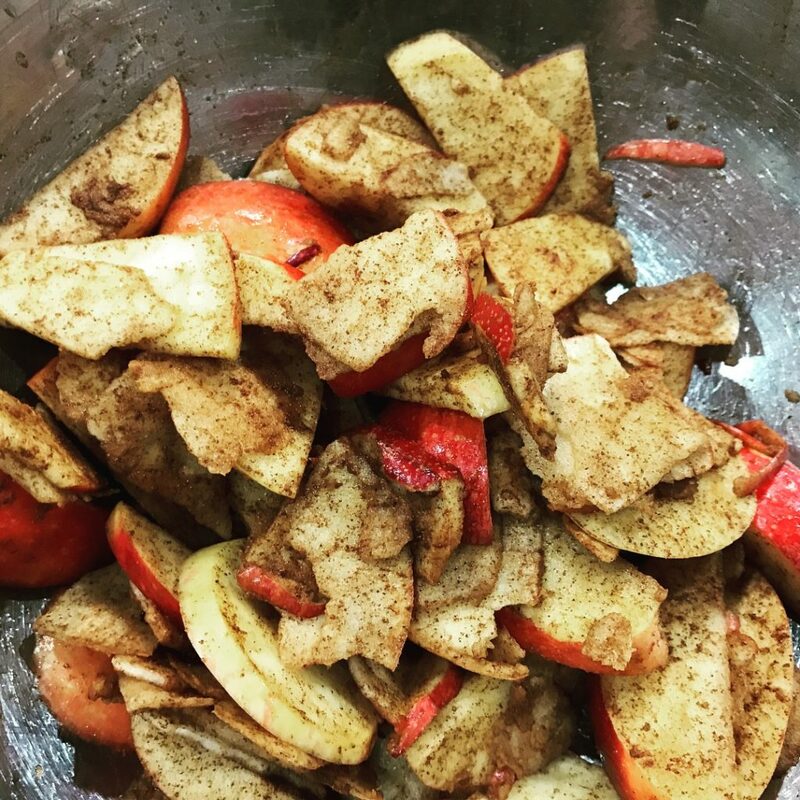 In a large mixing bowl, toss the sliced apples, lemon juice, and cinnamon together until the apples are nicely coated. Spread the apple mixture into the greased baking pan. Evenly spread the chopped caramel pieces over the apples. In a small bowl, combine the pretzel flour, sugar and cold butter together. 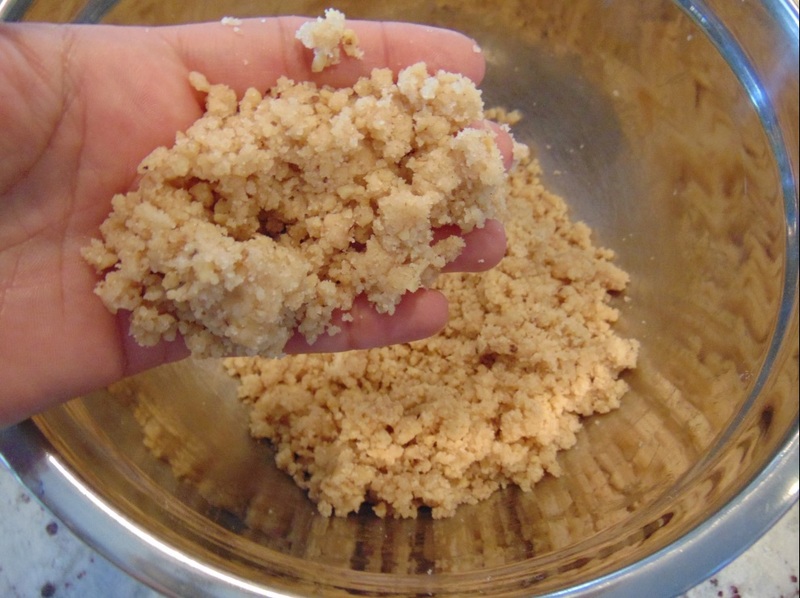 Using your clean hands, work the butter into the flour mixture with your fingers until it forms large crumbles. Spread pretzel crumbles evenly over the caramel and apples. Bake at 375° for 35 to 40 minutes.